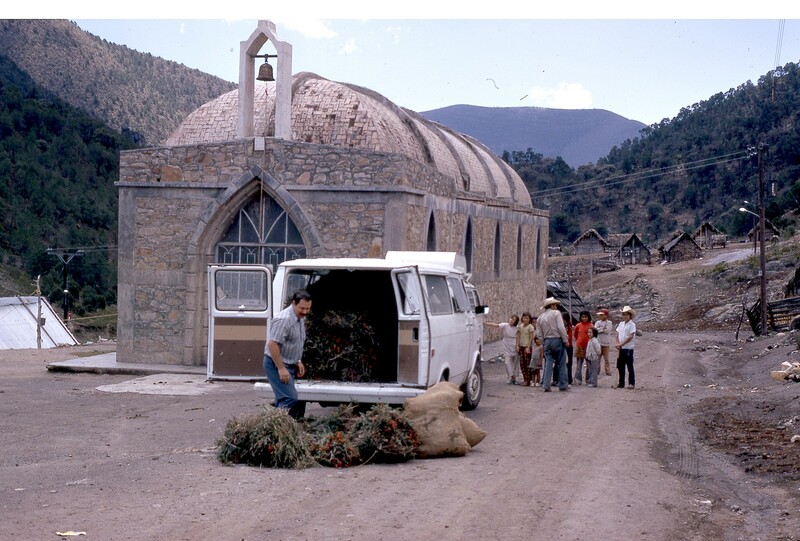 A. S. Barclay in Saltillo, Mexico, August 1974 assisting Ed Sallee in the large-scale collection of Bouvardia ternifolia for the isolation of bouvardin needed for clinical studies. Dr. Barclay collected mostly in California, western Nevada, Oregon and Washington, 494 collection numbers were accounted for, and undetermined number had been made in other states as one active plant was from Colorado. Seventeen of 36 plants that had separate plant parts active were represented by activity in root (rt), stem-bark (sb), flower (fl) or fruit (fr). In 1965, Barclay collected additional general samples from southern Californica that led to the discovery of active species Eriophyllum confertiflorum, Holacantha emoryi, Tetracoccus dioicus and Thalictrum fendleri. It is interesting to note that holacanthone (from Holacantha) was another compound, in addition to taxol from Taxus brevifolia, and camptothecin from Camptotheca acuminata—that was isolated by Monroe Wall's group—had undergone clinical trials. Other clinically important antitumor compounds related to species that Barclay collected include thalicarpine from Thalictrum dasycarpum, and indicine-n-oxide from Heliotropium indicum. While most of the active agents in the above list of plants were undoubtedly tannins and saponins, one might still find other active compounds in the above plants that could lead to new anticancer drugs (e.g., alkaloids in Veratrum californicum). Additionally, it might be noted that C-j Chang at Purdue University had found antitumor activity in samples collected by Spjut during the late 1980's in Purshia tridentata root and Spiraea densiflora root. 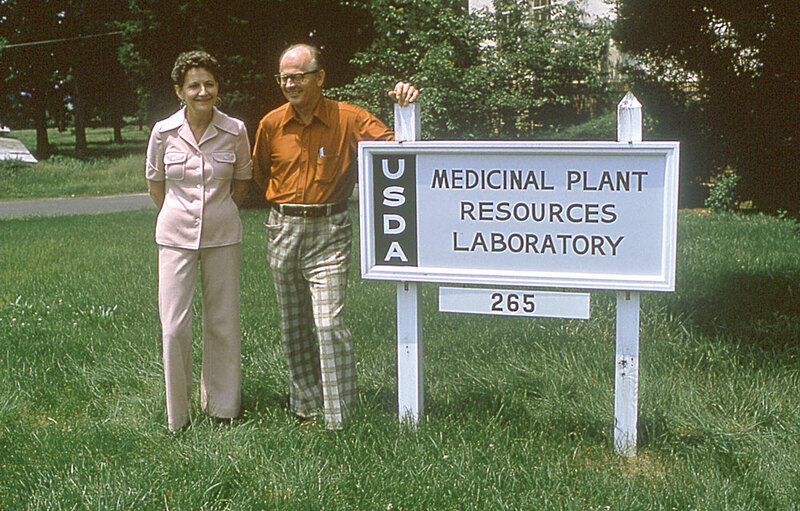 The Purshia sample was collected from the same general area where Barclay collected his KB active sample, whereas a recollection from another state obtained by Spjut was reported by Chang to have failed reconfirmation. As noted on the web page for Purshia, there is a great deal of variation in the genus that needs taxonomic study.